Have you ever made an aviation cocktail? It’s so tasty. It’s a combination between sour, sweet, and just a touch floral. 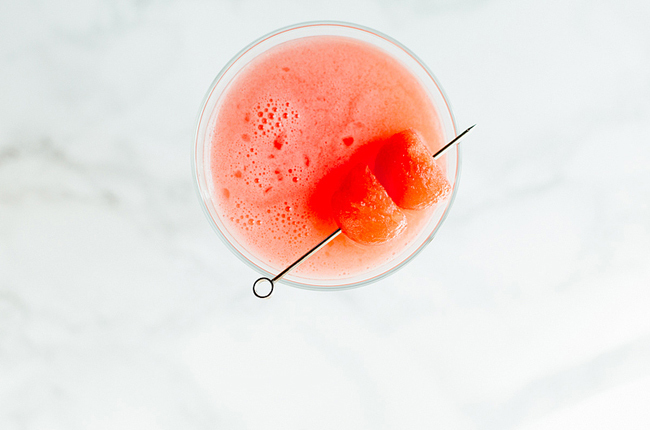 It’s one of our favorite cocktails, and we were both shocked we hadn’t shared it on the blog yet. 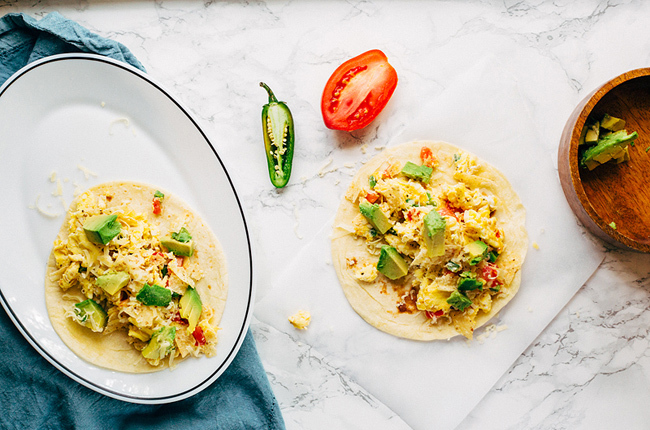 So Josh whipped up a couple the other day and we took photos. (Then he got to drink both because pregnancy). 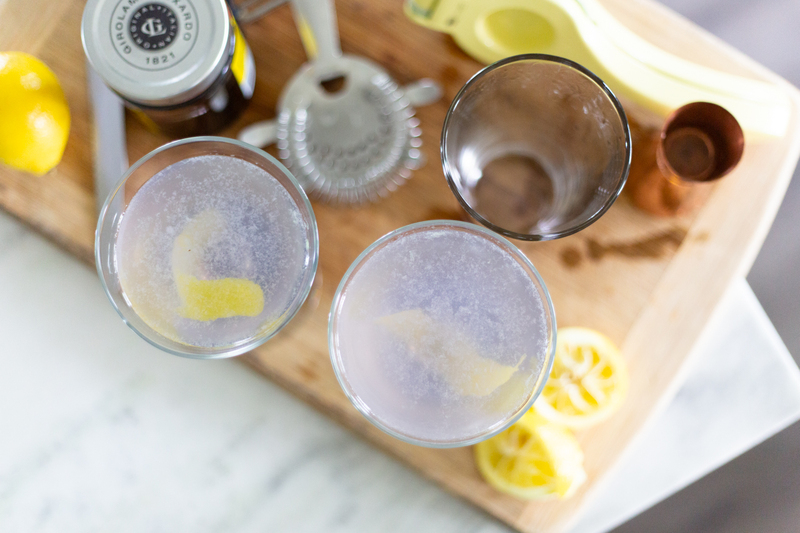 The tartness comes from the lemon, the sweetness comes from the Maraschino Liqueur and the flowery flavor comes from the Creme de Violette. And of course it has gin. We love gin around here. Come on, guys. We know the real reason we all celebrate New Year’s Eve. It’s to drink those New Year’s Eve cocktails or champagne and feel fancy. But say you’re throwing a party and are not sure what to serve. You don’t just want to be cliche and serve champagne all night. But maybe you usually don’t make cocktails, so you’re at a loss. Well then. We’ve got you covered because we’re experts in making cocktails we drink a lot. Here are five fantastic, tasty cocktails we made this year. 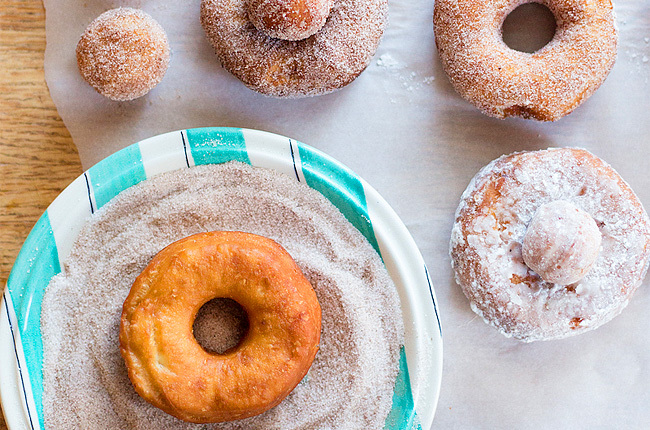 Any of them would be perfect for your holiday party and are pretty easy to make. Also, these fancy cocktails are all SO delicious so be careful. You or your friends may drink too many. Make sure to have a designated driver (I was the designated driver last New Year’s! ), walk home, take public transit, or call a rideshare like Uber, Lyft, Fare, etc. 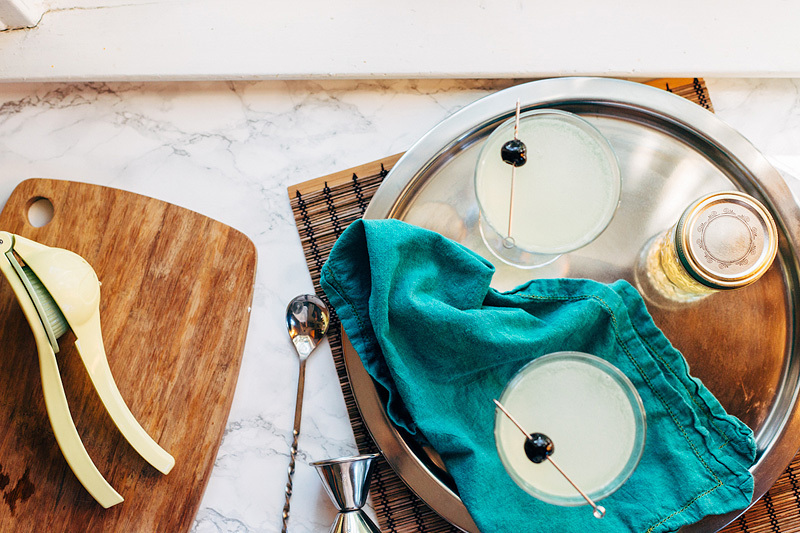 Fight boredom and scurvy with this citrusy cocktail. I think today we could all use a drink. A lot of us will be biting our nails throughout the day, waiting in long lines to vote, and anxiously awaiting the results. So let’s talk about what to drink. Guys, this cocktail is dangerous. There’s a reason the word “last” is in the title of the drink. This is the LAST drink you should have of the evening. Because after that you’re done. 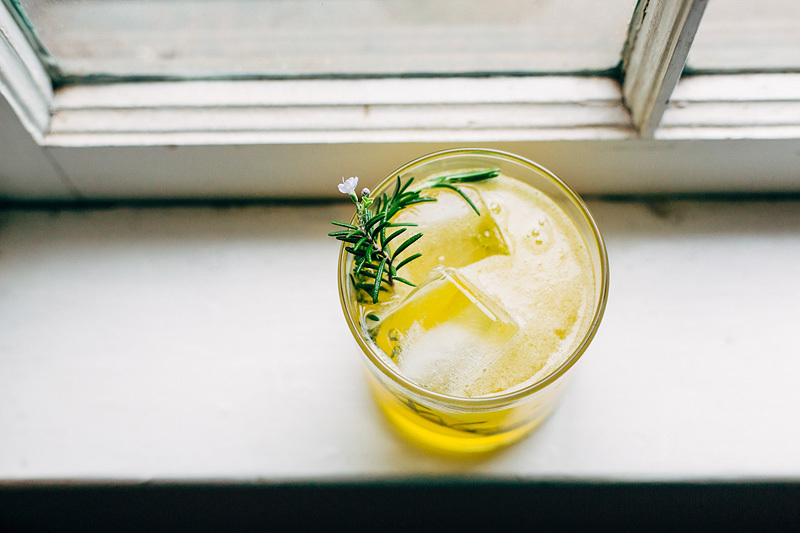 Cocktail of the Week: The Bees Knees with Rosemary – now with 50% fewer bees! 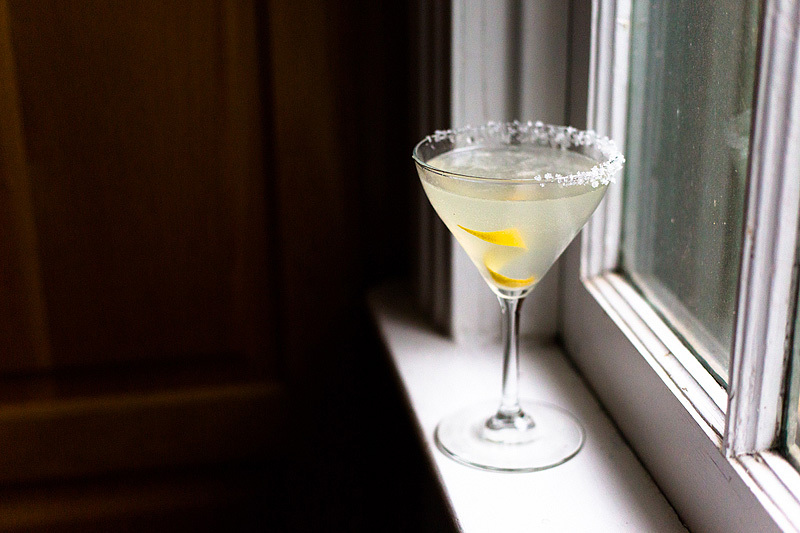 The Bees Knees is a cocktail we’ve made a thousand times at the Food Banjo HQ. So what’s all the buzz about now? Aimee had the bright idea of introducing rosemary into this gin and honey bevy. The result: more honey flavor and color without any of the bees! You’ll need fresh rosemary for this recipe. Luckily, rosemary grows like a weed in most of North America and many front yards are littered with it. We took the dog for a walk up the block with a pair of scissors and foraged a few sprigs for the honey syrup and garnish from a neighbor’s yard. Travelling in Italy, it’s common to receive a sipping glass of limoncello or grappa after a meal, while here in hot hot Texas it’s a nice way to cool down anytime of the day (I’m looking at you brunch)! 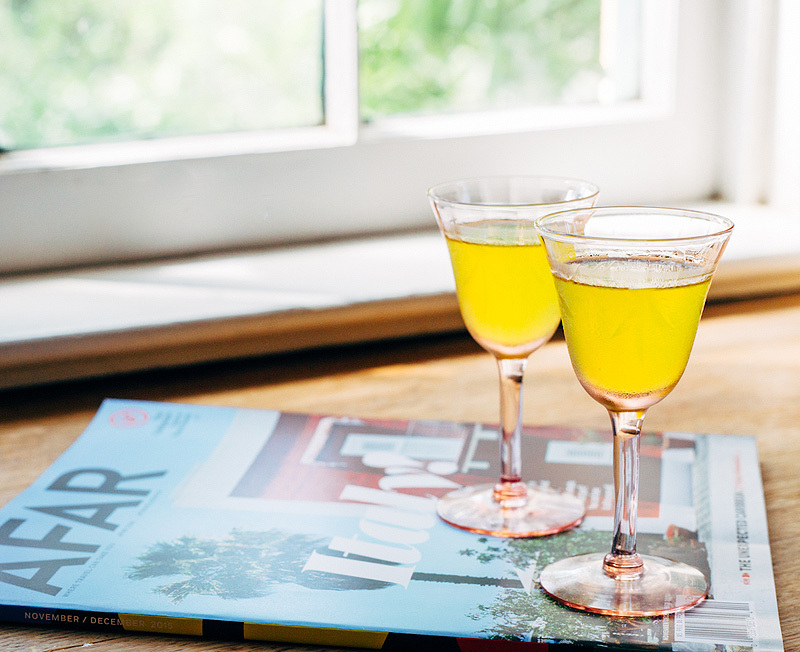 Limoncello is naturally lemony, a bit sweet, a bit syrupy and best served uber cold. 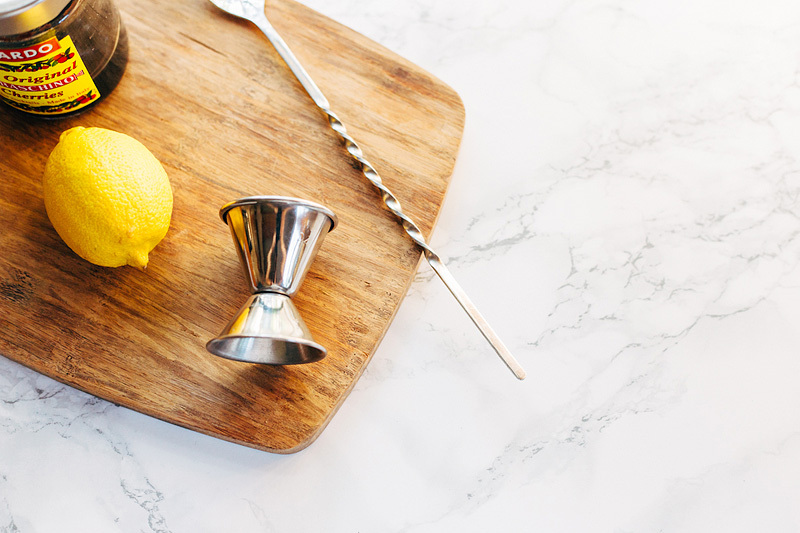 Making your own homemade limoncello is easy and fun. It just takes some patience. We love instagram! Come hang out with us there!